Description: Yusuke Tanaka is an experienced Japanese fullback, having played for Yokohama F Marinos & Kawasaki Frontale, as well as featuring in Kawasaki's ACL 2014 campaign. He played against the Wanderers in two ACL group stage 2014 matches. After making 15 appearances for the club he was released. Right and Left full back? Honestly he's a right fullback. After checking stats I've got rid of the left fullback unless he actually plays there for us. He's played more at Defensive Mid in the last few seasons that left fullback. So then we could take him as a CDM. Castelen, Saba(or his replacement) and Poljak/La Rocca for the overseas spots. Welcome Tanaka. J-league player and at 28 that's a good signing. Hopefully the next Polenz or better! 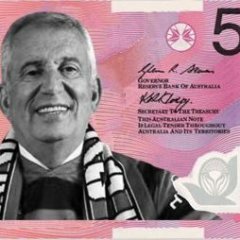 So how do we get him the A-League squad? do we have to get rid of a foreigner first? One of our foreign players either has to get hurt (so he can become an injury replacement) or leave the club. Presumably there exists the ability to take a third option which is deregister one of our foreigners and replace them with Yusuke. But we have a month until the season re-starts anyway, so presumably we would just release Adeleke if that was going to happen. So is he a la rocca replacement or adelke? I am guessing Colee if he eventually comes into our A-League squad. Especially if he isn't a left back. May your stay be even better than our previous right back. Seems to be a good signing. As long as his attitude is right he will fit in well, which i'm sure it will be as he is Japanese. My Japanese friend told me that he is not a star player like Shinji. But he describes him as the Sergio Ramos of Japan. Please let us know when you find out, I wanna go! Yuseke is predominately a RB who has played over 250 games in the J-League. He last played in October, so it may take him a couple of months to get back to full fitness again. I'm assuming that he comes to our club on the recommendation of Tensai. I expect his wages to be at least the equal of Spira, so if he were to be offered an A-League contract, he would need to be signed as a Visa Marquee, as we wouldn't have sufficient space to fit him under the cap. He appears to wear #3, so he could wear that number for us, if / when Mullen moves on. Bit silly to waste your Foreign Marquee spot on a RB imo. 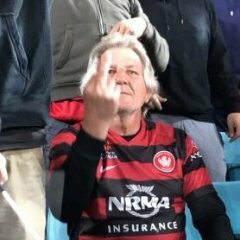 If that was the case, would of been better to offer Polenz a better deal, plus we knew he is a proven player who loved WSW. We may have got Yuseke on the cheap if the lastest rumour has legs. when Sydney fc signed Emerton, apparently the coach (farked if I remember his name, they had so many) actually wanted to play him at right back - but a few higher ups and football "experts" kicked up a stink about using a marquee as a defender.